Much like Mardi Gras in New Orleans and Carnevale in Venice, Canaval is a nonstop party, just with special addition of Brazilian flair. It’s filled with samba music, colorful costumes, and giant parades. 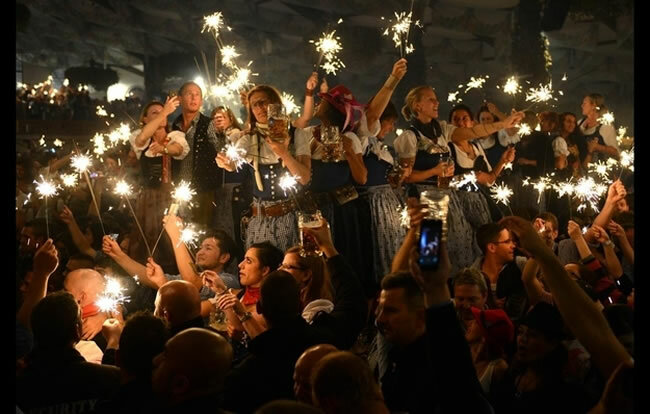 Though there are many smaller offshoots of Oktoberfest around the world, Munich’s original fair is the biggest beer festival in the world. In 2013, more than $96,178,668 worth of beer was served every day during the festivals. The Harbin festival is the largest snow and ice festival in the world, and it features carvings towering over 20 feet in height and full-size buildings made from gigantic blocks of ice. 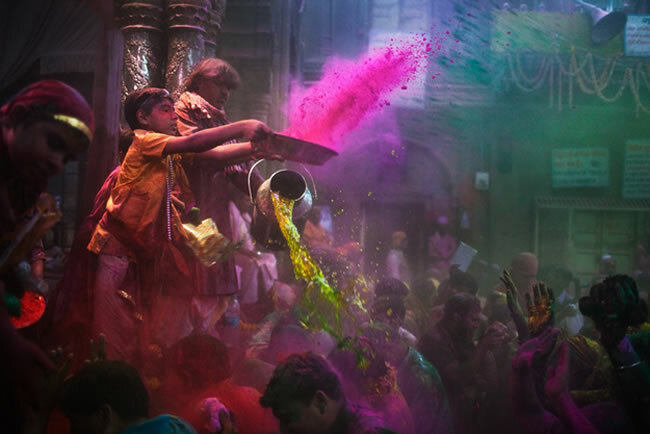 Holi, also known as the Festival of Colors, celebrates the end of winter and the beginning of spring. It’s fun, safe, and free. Just remember to BYOD (bring your own dye). Carnevale, or “Carnival,” has been a Venice tradition since the 13th century. People flock from all over the world to participate in the masked festivals, arguably making it one of the best parties on Earth. This is Europe’s largest fire festival, complete with the burning of a full-scale Viking ship. Need we say more? Tomorrowland has quickly grown to become one of the world’s largest electronic dance music (EDM) festivals. Each year over 100,000 visitors flock to Belgium to dance the day and night away. In many ways Mardis Gras’ reputation precedes itself — if you want to party like there’s no tomorrow, New Orleans is where you belong. As crazy as it may seem, these festivals are held every year purely for fun, meaning it isn’t tied to any ancient traditions. In 1945 a few locals began throwing fruits and vegetables during a parade — and ever since then the tomato-throwing festival has continued on. The Albuquerque International Balloon Festival is the largest gathering of hot air balloons in the world. Essentially it’s like Up — but better. If you’ve ever wanted to watch hundreds of men run down a hill while chasing a wheel of cheese, then you’re in luck — because the Cooper Hill Cheese Roll not only exists, it’s quite the romp. Each year Coachella boasts the biggest names in music, not to mention an impressive showing of Hollywood’s biggest celebrities. Plus, you can spend the weekend camping in the desert with your friends. Dia de los Muertos, or “The Day of the Dead,” celebrates All Saint’s Day, which remembers all those who have passed before us. A colorful display of costume and culture, Dia de los Muertos is a day you don’t want to miss. These Mexican festivals are held throughout the world, but a few of the bigger celebrations take place in Mexico City and Los Angeles. Let’s be real — who doesn’t like watching people make fools of themselves? 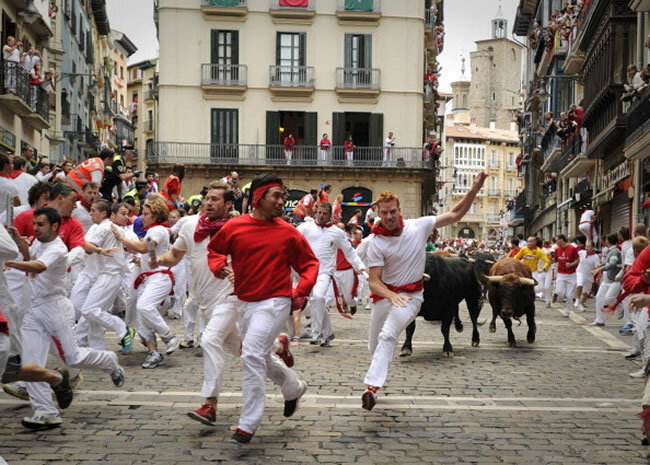 The Running of the Bulls is a time-honored Spanish tradition, which is such to raise your adrenaline levels, whether you’re running or watching. This is the water fight of your dreams, so back up your Super Soakers, water balloons, and water bottles and head to Thailand for a wet and wild adventure. Burning Man is where humans go to shed themselves of the conventions of society. If you want a break from the ordinary and can actually party 24/7, then head to the deserts of Nevada. Strong men wrestling while covered in oil. There is literally nothing else to say. Watch the sky light up during one of the world’s largest lantern festivals. If you’re looking for a little magic, there is nothing more surreal than a sky ablaze with thousands of floating lanterns. Aside from the incredible music you’ll find at Glastonbury, perhaps the funnest part of the festivals is wading through the mud in your rain boots while camping with all of your friends. Glastonbury is dirty, loud, and wild, aka everything a music festival should be. If you know of any other great festivals that should be visited before you die let us know in the comments below.